The Mediterranean is full of romantic places! Instagram made us fall head over heels for the whitewashed villages of the Cyclades, for the stunning beaches of Sardinia and the charm of Malta – but if you’re looking for a romantic cruise, there’s nowhere quite as magical as Croatia. The reason is simple – there are just so many islands to explore, and doing so by yacht charter will give you the chance to swap crowded ferries and congested streets for private catamarans and deserted coves, the perfect backdrop to enjoy a sunset drink with your significant other. We’ve spent months searching for the best beaches in Thailand and Bali, and we’re hoping that next summer will finally be the time for us to visit Croatia, and we’d love to do so by boat. Recently we found out about Nowboat, the first all in one seafaring platform, listing hundreds of trusted operators from all over the world, and allowing travelers and operators to be connected with a matter of clicks. Up until recently, planning a private sailing or cruising experience was likely to be a daunting task – most yacht charter sites are aimed at sailors or those wanting to plan long expeditions. On the other hand, on Nowboat you can plan experiences that range from a few hours to several weeks. 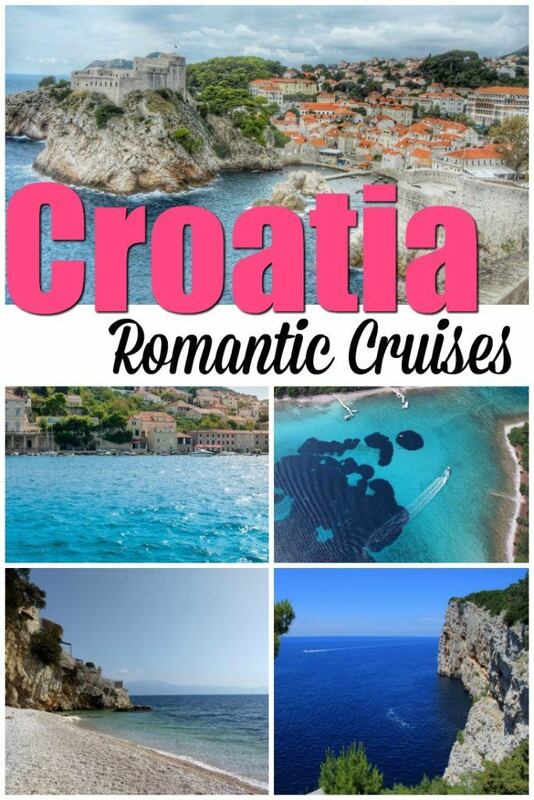 If you’re looking for a romantic Croatia cruise, there are tons of options to choose from – here are just a few ideas. Split is the ideal starting point for a romantic cruise around Dalmatia, as it’s located within a short sailing distance from several amazing islands like Brac and Vis, and it has an airport and good infrastructure. One week or 8 days are enough to enjoy the magic of Croatian islands, visiting places like the timeless city of Dubrovnik, the Elaphiti Islands and Mljet, one of Croatia’s national parks. Some of these locations are popular with day trippers – sailing allows you to skip the crowds, arriving early and staying late at the best snorkeling and swimming spots, and enjoying sunsets in total peace and quiet. The Kornati Archipelago is UNESCO-listed, and it is often mentioned as one of the best sailing destinations in the Mediterranean. It’s a protected National Park, with the highest concentration of islands anywhere on the planet – in just 320 square km you’ll find over 140 islands and islets, offering opportunities for countless sailing adventures. Sailing the Kornati means spending your days swimming in turquoise coves, sunbathing in deserted beaches and having lunch at secluded island konoba (family-run restaurants) only accessible by boat. 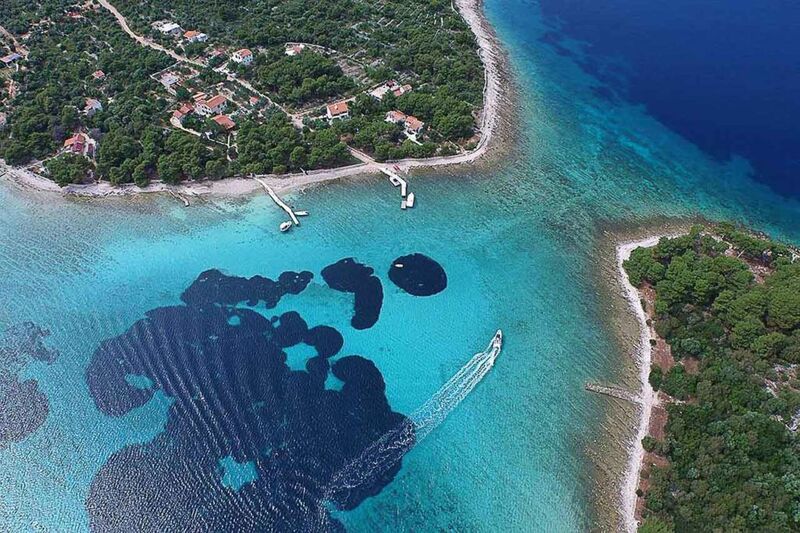 You could opt to spend a full week sailing the Kornati or combine them with other islands like Krk or Vodice, close to Skradin National Park. 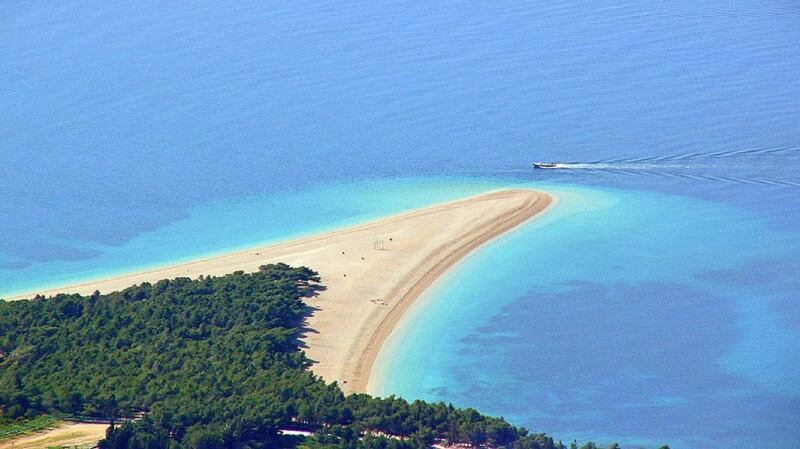 If the name Zlatni Rad or Golden Cape doesn’t mean anything to you, try Googling it – I’m sure you’ve seen pictures of this spectacular golden sand beach on the cover of several Croatia travel brochures! 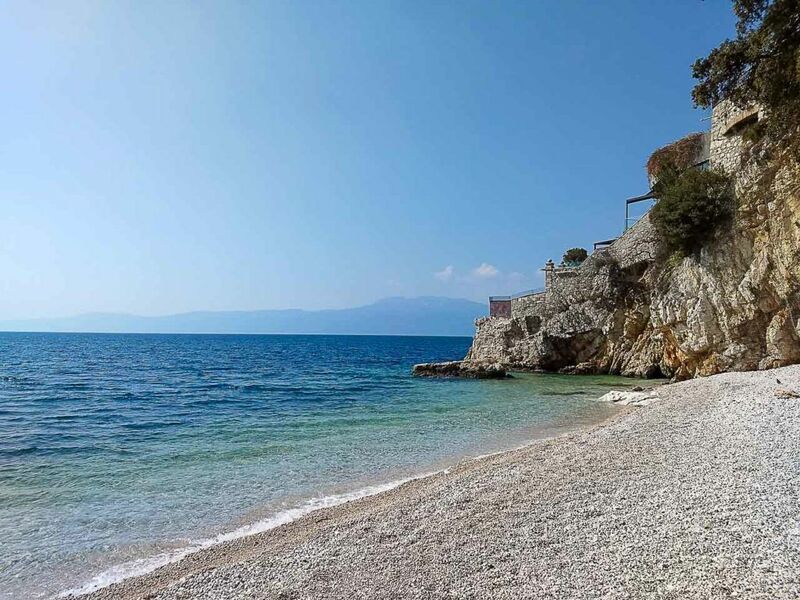 Zlatni Rad is regularly mentioned as one of Croatia’s best beaches, and it’s located on the island of Brac, a quick sail from Split. Visiting independently can be harrowing, as the crowds and heat in summer can be fierce – but what about spending a day cruising there with your loved one, with your private charter on hand if you want to relax or enjoy some time away from the beach? If you throw a sunset into the mix, this could very well be Croatia’s ultimate romantic sailing experience! There are countless sailing adventures to be enjoyed from Split, even if you have just one day. Adventure lovers will love sailing to the Blue Lagoon, famous for its natural beauty and for the great snorkeling opportunities, with colorful fish life often spotted in summer. The Dalmatian Coast is full of secluded coves – part of the fun in sailing places like Croatia is trusting the local crew and letting them show you their favorite secret spots. Day trips to the Blue Lagoon and other destinations in the surroundings often end with a beachside aperitivo in Maslinica – just because wine makes everything better! No one can deny that Dalmatia is beautiful – trouble is, it’s hardly a secret nowadays. 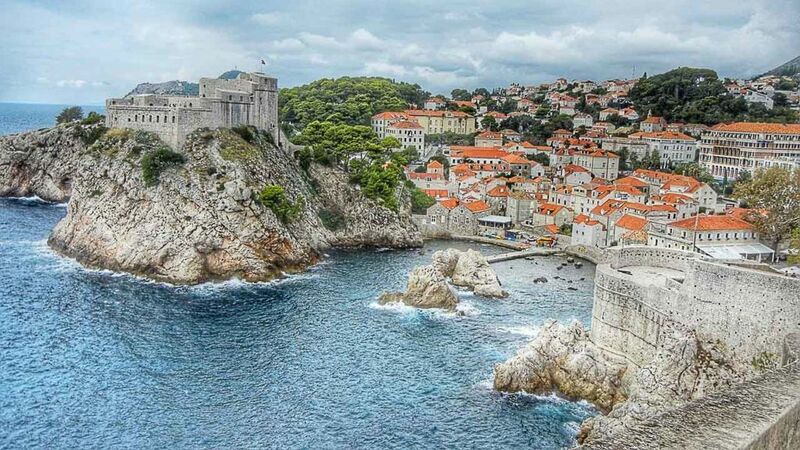 Heading to places like Split or Dubrovnik in the middle of summer almost guarantees you’ll run into crowds, and even if you have your boat to escape to, this can seriously dampen a romantic experience. The town of Rijeka is located further north, in Istria, and sees far fewer tourists compared to Dalmatia – yet, it has nothing to envy when it comes to seascapes and scenic beauty. A sunset sailing expedition from Rijeka is the ideal way to treat yourself and your significant other for a few hours – trips also include a stop on a nearby beach, before sailing back surrounded by twinkling lights.